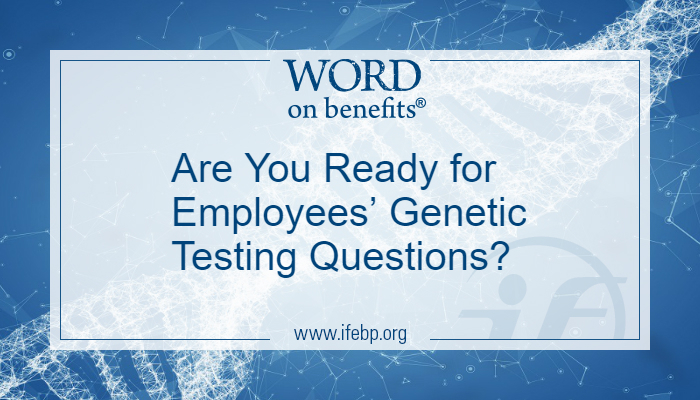 Are You Ready for Employees’ Genetic Testing Questions? While you may think these questions are only asked by characters in a soap opera who lost their memory, they actually are being asked by more and more regular humans who are searching their genetic history. Popularized by companies like 23andMe and Ancestry.com, people are now discovering not only where they came from, but also their genetic traits. Do you have a predisposition to needing caffeine? 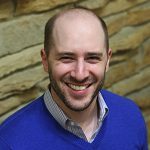 What is your genetic history of muscle composition? Are you predisposed to certain kinds of cancers, Late-Onset Alzheimer’s Disease or Parkinson’s? Many insurance plans will cover genetic testing related to diseases, so refer to your health plan to see what is covered. If your plan doesn’t cover genetic testing, employees can order tests themselves from companies like Color Genomics that do hereditary cancer testing and testing on heart, cancer and medication response. If a worker tests positive for a genetic marker for a certain disease, it does not guarantee that they will get that disease in their lifetime. However, it does indicate an increased likelihood of getting that disease. For example, statistics say that a woman who tests positive for the BRCA1 or BRCA2 has between a 69-72% chance of developing breast cancer in her lifetime. There are services and organizations available to assist individuals in making decisions if they test positive for a hereditary disease. They may be able to join a group that will provide support in handling their genetic marker. Additionally, your health plan may provide coverage for increased preventative screenings or preventative surgeries to help decrease the employees’ chances of developing the disease. Employers, health plans and insurance companies are just beginning to discover the complexities of genetic testing. This is a new area of science, and how companies and benefit plans are handling the results of these tests is an open question. As new tests continue to be developed, your health plan will have to grapple with how to handle the results. And if you’re interested in hearing more, join us for our Cancer Genetic Testing and Related Care: Costs and Benefits Webcast, Thursday, December 13, at 3:00—4:30 p.m. ET (2:00—3:30 p.m. CT). The webcast will dive into the area of cancer genetic testing and what happens after a patient tests positive for an inherited mutation that increases his or her risk of future disease.